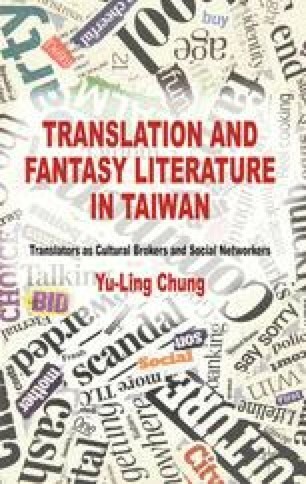 This chapter probes the origin of the genre of fantasy by examining its evolution in the Western context and by exploring what local fantasy writings are and how they have evolved under the influence of fantasy translations in the literary landscape of Taiwan. Fantasy is posited as a literary genre developing along with orthodox Chinese literature. Although Western and Japanese fantasy are two major sources of fantasy translations in Taiwan, this book emphasizes the initial role that Western fantasy works played in the upsurge of fantasy translations in Taiwan after 1998. Without this cultural phenomenon, Japanese fantasy works would not have been termed so in Taiwan. Moreover, some Japanese comics and animation are actually carriers of Western fantasy works. For instance, the Japanese fantasy originates from Dungeons & Dragons and is a book series created under a gaming framework. On the other hand, fantasy writings in Taiwan cannot rid themselves of the impact of Chinese fantasy literature. This rationale justifies the comparison between Chinese and Western fantasy works which helped shape fantasy writings in Taiwan. Local fantasy writings are inspired by fantasy translations.